Yep, bats! 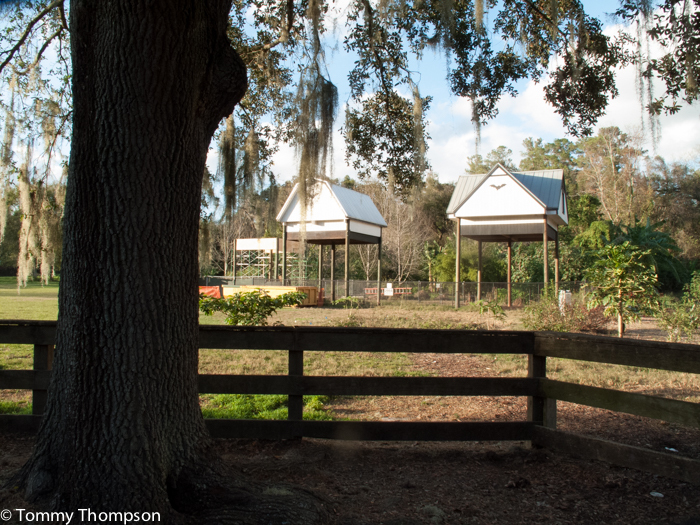 Would you believe that one of the world’s largest bat house/barn complex is located on the campus of the University of Florida in Gainesville? The Bat house (R) and Bat Barn make up the Florida Museum of Natural History’s bat complex near Lake Alice, on Museum Road. A third house is expected to be completed in 2017. 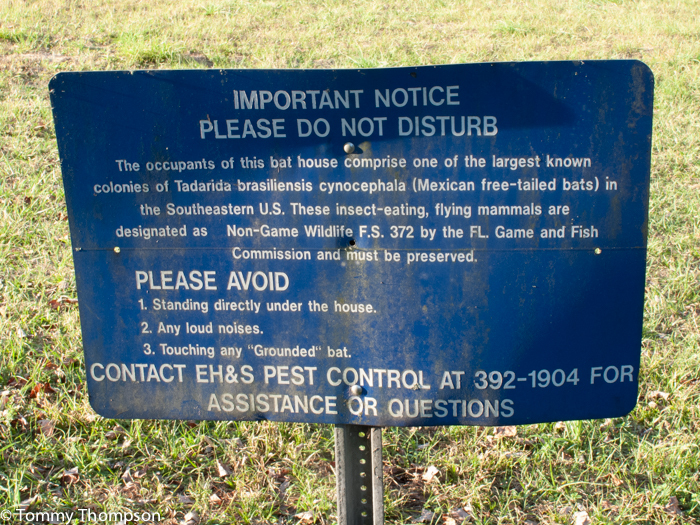 The need for the bat complex arose when bats infested nearby sports complexes. The solution was offered by the museum, but it took several years to “convince” the bats to move. Now, it’s a nightly event to see the bats emerge just after sundown. Warm weather, usually above 65-degrees, produces the greatest numbers, as bats leave their houses to eat mosquitoes and small insects. Adjacent Lake Alice is well known for its bugs (and it’s gators, of course!) Luckily, on all but the coldest north Florida days, afternoons warm sufficiently to get the bats our of their nests. While bats have been popularized as “scary”, the free-tailed bats (Brazilian and Mexican) on the UF campus only have on thing on their mind when they swirl and sweep by, often close to you. They’re hungry, and it’s amazing to experience the sudden disappearance of biting bugs as the bats emerge for their twenty-minute feeding frenzy.